Create a host of delicious meals with this multi-purpose compact oven. The amazing versatility of this Sunbeam NutriOven Convection Oven CO3000 makes it perfect for small spaces, as it can bake, roast, steam grill, dry-fry and toast. A roomy capacity caters for complete meals or quick snacks and fan-assisted convection reduces cooking time. 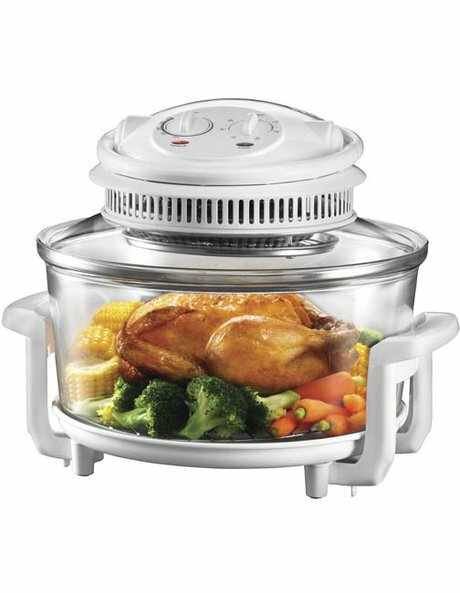 The transparent glass bowl allows easy viewing during cooking with a pre-wash function for easy cleaning. Includes high rack, low rack, tongs, baking dish and lid holder. 12 month replacement warranty.